During my brief stint in Los Angeles, I decided to fill a lull in my freelancing with stories of my favorite dining experiences. I may update this one day. But, for now, it exists as a memory of that time I decided to move across the country for 6 months. It also shows that I really love food. Steamed Buns and K-pop Fun All in One. 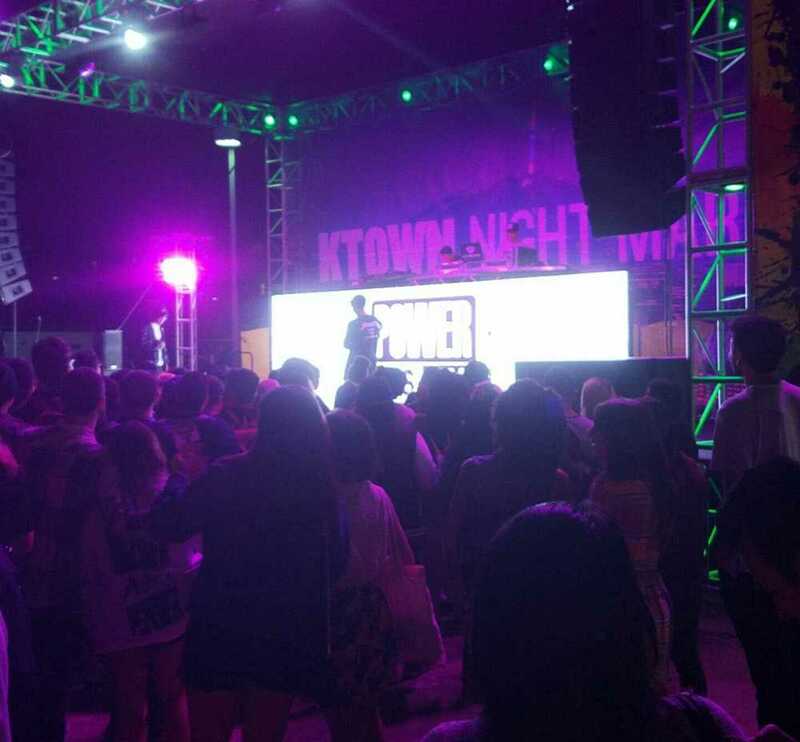 A few weeks ago, I was scrolling through my Facebook timeline and came across an ad for something called, Ktown Night Market. “Back by Popular Demand,” it said. Popular demand? Well, if it was exciting enough to make a comeback, certainly it’s something I needed to check out. The days came and went, and I teetered back and forth as to whether or not I’d actually go. Basically, the level of dough in my bank account was dictating my overall desire. Sure, the event itself was only $5 at the door, but with food trucks and stalls galore, I knew there’d be some money dropping throughout the evening. After spending the day-of venturing around Le Brea, I finally decided to make the trek 7 blocks east and see what all the fuss was about. I rolled up fairly early—around 6pm—so the crowd had yet to gather its full force. I took this as an opportunity to get my fill of food, because I was sure the lines would start forming at any moment (I was right). The funny thing about stalls and trucks, especially at festivals, is that they can vary rather dramatically when it comes to service. For instance, the first truck I hit was called, The Chairman. It’s a mobile version of the bun and sandwich eatery that has locations in DTLA and San Francisco. I ordered a Spicy Chicken steamed bun, which comes with Panchan pickles; and a Black Pepper Brisket Bun that’s topped with fennel salad and lemon-ginger vinaigrette. The service was speedy, the food was incredible and I even chatted with the staff for a few minutes about the NBA Finals. All in all, it was the type of experience you want to have with a food truck. However, later in the evening I hit a truck called, Okamoto Kitchen. Billed as Japanese comfort food, it’s definitely an unforgettable experience. The truck itself is bright red with a French Maid Manga character emblazoned across the side, while a TV screen rotates through Pokemon-style screens, complete with 8-bit video game noises and music. When I walked up the line was a little long, but I decided to test the waters and wait. After all, a long line is usually the sign of a good spot. Unfortunately, what I came to find was that it was actually the result of severe mismanagement. When I finally made it to the window, I ordered myself a nice combo of a Chicken Curry Sandwich (a large piece of Korean fried Chicken, topped with gouda cheese, shredded green cabbage and a special curry sauce, housed in a warm brioche bun) and a Green Tea Parfait (matcha-infused custard, topped with sweet red bean paste, fried dough and whipped cream). Nothing too extravagant, I thought. The problem came after about 10 minutes of waiting. I saw them place my items at the window, but they never called for me. Instead, the person serving food set it to the side for another 5 minutes. Curious, I waited to see how things would play out. I soon realized he was not giving me my order, because the people in front of me had not received their orders yet and… well… I guess things have to go in order? It was extremely odd to me, especially given that one of my items was to be served hot and the other cold (read as time sensitive). Once I finally received my food though, I have to admit that it was extremely delicious. Was it worth the 30+ minutes I waited for it? Probably not, but in that moment I certainly enjoyed it. 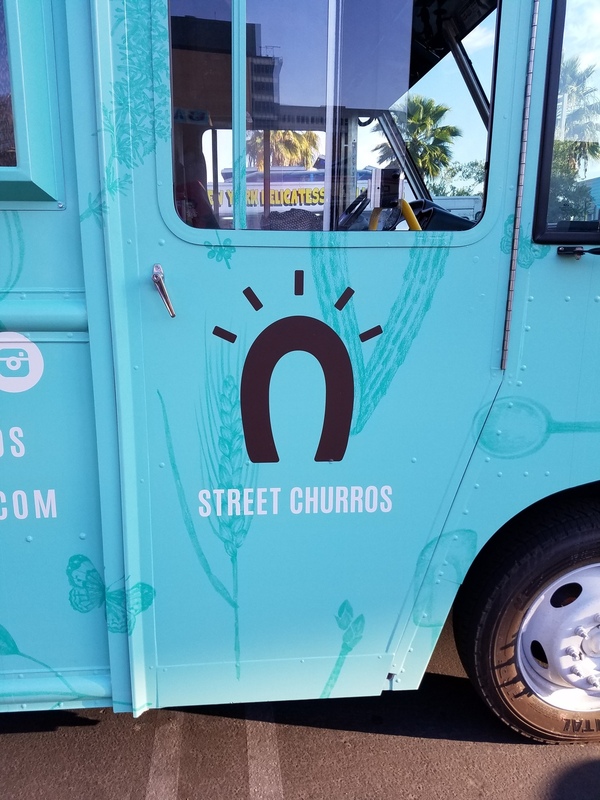 From there, I hit up Street Churros and had my very first churro ever—no, really! And then ventured one truck to the right for some gelato. Both were pretty good, but nothing I’d ever write home about. Once I was filled with food, I went and checked out all of the clothing stalls around the festival. I guess they were curated by something called, The Silk Show? I’m completely unfamiliar, but I did manage to snag a few good deals from some pretty cool brands. The timing was perfect too, as the sun began to set and the evening’s musical acts took to the stage. So, I grabbed some bubble tea from Boba Bear and spent the rest of the evening bobbing along to some Korean rap groups and a few K-pop favorites. Sure, I didn’t understand a word they were saying, but a good beat transcends all languages. All in all, the evening was really fun. It was nice to get out and explore the culture of my neighborhood a bit. I do live in Koreatown, after all. My only complaint is that I wasn’t able to hit up more of the food stalls. Obviously, it wasn’t because I couldn’t pack away the food. It had more to do with the fact they were cash only and I couldn’t make out any of the menus. There were some questionable meats being used (at least the types I’m used to) and I was deathly afraid of accidentally purchasing duck’s bill or tripe. I think I'll save those for next year.